To the thousands of tiny nomes who live under the floorboards of a large department store, there is no outside. Things like day and night, sun and rain are just daft old legends. Then a devastating piece of news shatters their existence: the Store, their whole world, is to be demolished. An exciting adventure for the young and equally young at heart. 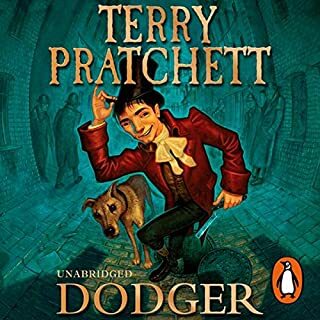 Dodger is a tosher – a sewer scavenger living in the squalor of Dickensian London. Everyone who is nobody knows Dodger. Anyone who is anybody doesn’t.But when he rescues a young girl from a beating, suddenly everybody wants to know him.And Dodger’s tale of skulduggery, dark plans and even darker deeds begins. The world will end on Saturday. Next Saturday. Just before dinner, according to The Nice and Accurate Prophecies of Agnes Nutter, Witch, the world's only completely accurate book of prophecies, written in 1655. The armies of Good and Evil are amassing, and everything appears to be going according to Divine Plan. Except that a somewhat fussy angel and a fast-living demon are not actually looking forward to the coming Rapture. And someone seems to have misplaced the Antichrist. Finding himself alone on a desert island when everything and everyone he knows and loved has been washed away in a huge storm, Mau is the last surviving member of his nation. He's also completely alone - or so he thinks until he finds the ghost girl. She has no toes, wears strange lacy trousers like the grandfather bird and gives him a stick which can make fire. Daphne, sole survivor of the wreck of the Sweet Judy, almost immediately regrets trying to shoot the native boy. Right before the wise old wizard Drum Billet died, he passed on his magical staff of power to the newborn eighth son of an eighth son. Unfortunately, Drum Billet never bothered to check the gender of the newborn baby, and it turns out it was a girl. Now his chauvinistic colleagues are forced to deal with a young girl who has all the qualifications to join their all-male profession. The Company builds planets. Kin Arad is a high-ranking official of the Company. After 21 decades of living, and with the help of memory surgery, she is at the top of her profession. Discovering two of her employees have placed a fossilised plesiosaur in the wrong stratum, not to mention the fact it is holding a placard that reads "End Nuclear Testing Now", doesn't dismay the woman who built a mountain range in the shape of her initials during her own high-spirited youth. As the mighty alien fleet from the very latest computer game thunders across the computer screen, Johnny prepares to blow them into the usual million pieces. And they send him a message: We surrender. They're not supposed to do that! They're supposed to die. And computer joysticks don't have 'Don't Fire' buttons. But it's only a game... isn't it? 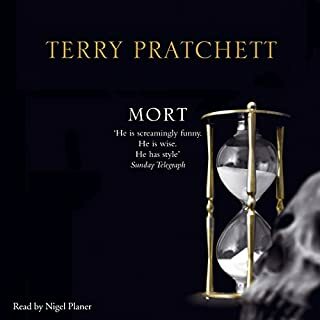 Mort, like many teenagers, is gangly, unpromising, and struggling with a menial job - in his case, as Death's apprentice. 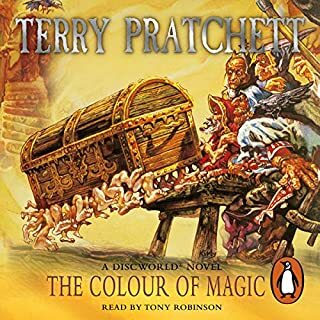 He can barely handle his simple task of ushering souls out of Discworld, but he really screws up when he meets the beautiful Princess Keli, who is scheduled to be assassinated. 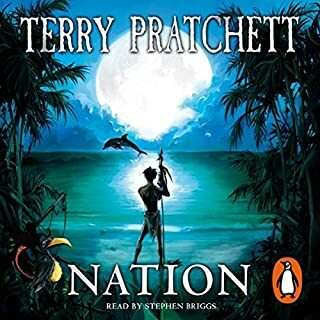 Great book, well narrated, very poor quality. In the beginning, there was nothing but endless flatness. Then came the Carpet.... That's the old story everyone knows and loves (even if they don't really believe it). 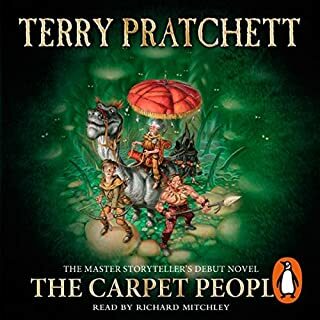 But now the Carpet is home to many different tribes and peoples, and there's a new story in the making: the story of Fray, sweeping a trail of destruction across the Carpet. The story of power-hungry mouls - and of two Munrung brothers, who set out on an adventure to end all adventures when their village is flattened. 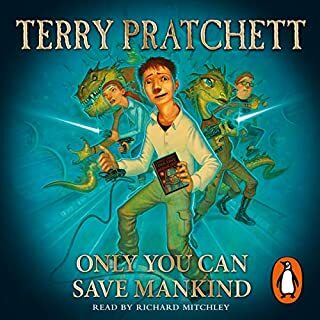 In the 'fantasy' universe of the phenomenally bestselling Discworld series, everything runs on magic and common sense. The world is flat and million-to-one chances happen nine times out of ten. Our world seems different - it runs on rules, often rather strange ones. Science is our way of finding out what those rules are. 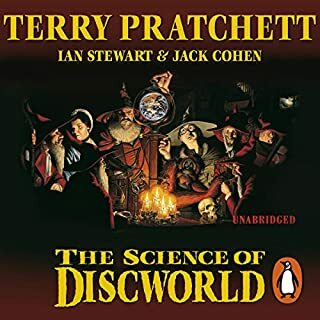 The appeal of Discworld is that it mostly makes sense, in a way that particle physics does not. A bright new dawn is just around the corner for thousands of tiny nomes when they move into the ruined buildings of an abandoned quarry. Or is it? Soon strange things begin to happen. Like the tops of puddles growing hard and cold, and the water coming down from the sky in frozen bits. Then humans appear, and they really mess everything up. The quarry is to be re-opened, and the nomes must fight to defend their new home. But how long will they be able to keep the humans at bay, even with the help of the monster Jekub? This is the second book in the Bromeliad Trilogy. 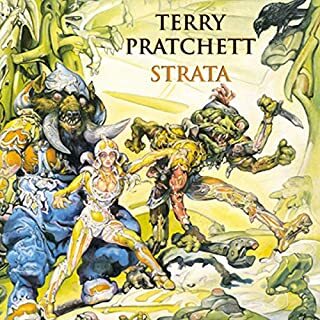 Nome tomes: listen to more in Terry Pratchett's Bromeliad series. 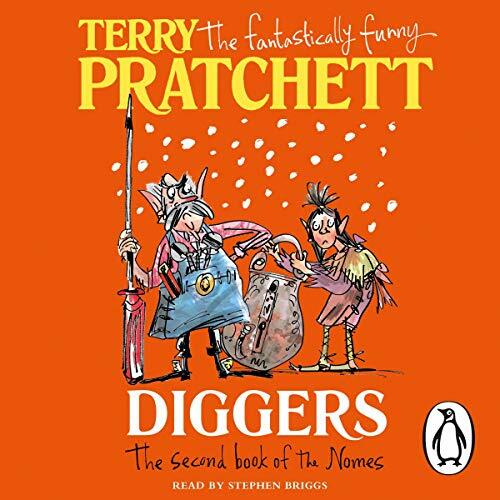 Click here to see all the titles in our Terry Pratchett collection. 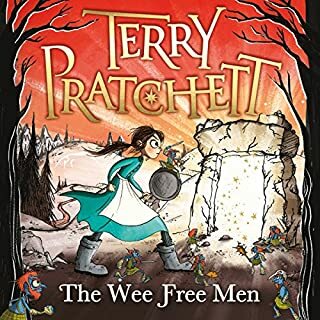 I love a Terry Pratchett story that makes me laugh. He has a way of turning a phrase that is delightful. 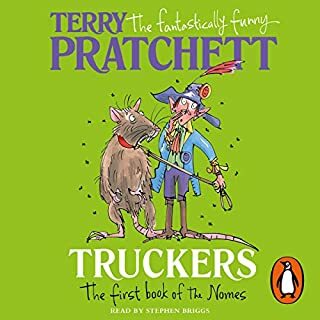 Pratchett's gnomes observations of humans made me laugh at some of our idiosyncrasies as humans. 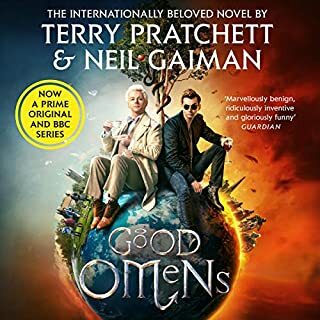 I accidentally listened to wings -book 3 first, but that didn't spoil things much. It's a great story, I wish there was a book 4! This series is nice, but it is not compelling. 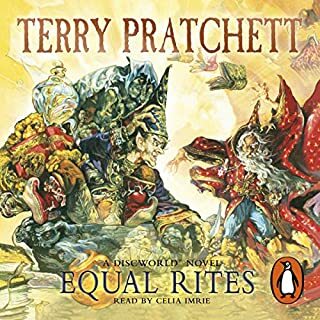 While I normally admire Stephen Briggs' performances in the other Discworld books, in this series, he does not vary his voice and so I keep hearing the voice of Granny Weatherwax from the lips of a different character.